Russ Styler is a highly experienced professional magician available for weddings, landmark birthday party celebrations, anniversaries, awards dinners and most other corporate and private party occasions. As a close up magician for hire based in Bedfordshire Russ is within easy reach of Bedford, Flitwick, Ampthill, Luton, Dunstable and Milton Keynes, Bucks. Hire a top sleight of hand magician for the best party ever! Magician for hire in Cambridge or Huntingdon Cambs. Add a whole new dynamic to the party. Competitive costs / prices for a magician with the experience that your event deserves! Hire a magician in Coventry, Nuneaton, Rugby, Hinckley, including Barwell magicians and Lutterworth for a birthday, wedding, anniversary or engagement party. Daventry magician, Northamptonshire. Hiring a magician for a drinks reception or a cocktail party is a great ice-breaker that gets the guests talking! Magician Flitwick, Ampthill, Barton-le-Clay & Shefford. Excellent close up table magician for a family party or magic themed event. Professional magician hire in Wolverhampton, Stourbridge, Kidderminster and Bewdley. If you need a magician for your wedding in Birmingham, West Midlands, Alcester, Coventry or magicians in Warwick, Hinckley and Lutterworth. The cost to hire a magician for a wedding is probably less than you think! Hire a magician in Redditch, Henley in Arden or Royal Leamington Spa near Stratford Upon Avon for amazing magic. 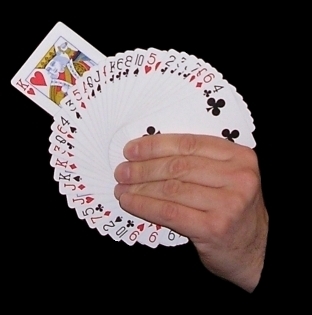 For something engaging and different you could hire a magician for a 20th, 30th, 40th, 50th, 60th or 70th birthday party. Or a magician for a Silver, Ruby or Golden wedding anniversary. Hire a magician in Telford or Stafford, Derby and Nottingham, whether it's for a wedding, garden party or corporate event. Russ is professional, reliable and highly experienced in close up magic, table magic and shows. Hire a magician Bromsgrove or Droitwich in Worcs. Magical entertainment that has appeal for all ages and celebrations. If you are seeking a Magician in Oxford to add some interactive entertainment, whether close up magic or cabaret magic show, contact Russ Styler now! Hire in Hemel Hempstead or Watford, Magician hire Slough or Berkhamsted. Magic that brings amazement and fun to any cocktail or garden party, prom or summer fete. Stunning sleight of hand magician Letchworth, Baldock for hotel / restaurant or bar magic, black tie dinner party or smart casual occasion. Magician London and Member of the Magic Circle. Hire a magician in Saffron Walden, Braintree for your wedding, birthday or event in Essex. Get a quote for a magician in Beaconsfield, Amersham, Aylesbury or Buckingham and Oxford. The perfect icebreaker for pre-dinner drinks receptions. Magician hire in Slough, Reading, Newbury and Maidenhead, Berks. Magician Hatfield and Welwyn Garden City, Hertfordshire, Buckinghamshire or a magician for your Northampton and Towcester events. Conjuring up indelible memories for your party in Sutton Coldfield, Solihull, magician hire Birmingham. See video of Russ in action. Hire a magician in Walsall or Wolverhampton - West Midlands including Cannock or a magician in Lichfield in Staffordshire. Also for events in Derby and Derbyshire. Be amazed, very amazed with highly visual magic from an experienced magician. For any wedding, civil ceremony, family party or adult birthday whether 30th, 40th, 50th, 60th birthday or your anniversary. Available also in Telford whether it's close quarter magic around tables or a show you require. Top close up magician for hire in Stratford Upon Avon, whether private or corporate bookings. Hire a magician in Watford and Berkhamsted. Magician in Saffron Walden, Essex or for your party in Chigwell, Enfield, Braintree or Harlow and Basildon. Further afield Russ is also available in Ipswich andperforms all kinds of magic including superb card, coin, ring and rope tricks etc at hotels, halls, restaurants, golf clubs or your own home! Pre-dinner drinks, between courses or after the meal. Magician hire in Luton and Dunstable, Woburn and Leighton Buzzard. Including magicians in nearby Hitchin, Hatfield, Letchworth, Knebworth or St Albans. Family / adult birthday party magic. Hire a magician in North Mymms / South Mimms, London Colney, Abbots Langley, or a magician in Hertfordshire for any occasion. Magician for a 16th, 18th, 21st, 30th, 40th birthday etc. Great for family parties. A magician works brilliantly for a 70th, 80th, 90th or even 100th birthday party. Ideal for a wedding and bound to astound! Magician in Romford, Essex, South east and Sussex for your cocktail / garden party or event. Hire a magician in Hitchin, St Albans, Letchworth or magicians for Stevenage and Biggleswade. Check availability for a magician in Milton Keynes or Bletchley. Table magician in Aylesbury, Buckinghamshire (Bucks) Chesham and Amersham, Hazlemere, Hemel Hempstead and Gerrards Cross. Meet & Greet magic, mingling or seated guests. Magician Cambridge for parties or weddings. Quality close quarter magician Stratford Upon Avon, Alcester and Rugby in Warwickshire and Northants for up close magic, parlour magic or show. Magician for Hire Russ Styler - Be Amazed!